The Association of Community Newspaper Publishers of Nigeria (ACNPN), Delta State Council, would hold her lecture and award ceremony to sensitize Deltans and the general public on the spate of killings and challenges associated with elections in the country. 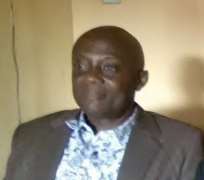 While briefing journalists in Asaba, the Delta State capital, the Chairman, Comrade Jude Obiemenyego, said the themes of the inaugural lecture are “Homicide: Trends, Causes And Prevention and “2019 General Elections, Security Challenges in Delta State and Nigeria”, scheduled to hold at Sweet Spirit Hotel, Okpanam Road, Asaba on the 5th of July, 2018. He stressed that the purpose of the lecture and award is to educate Deltans and Nigerians on the need to ensure that adequate security measures is put in place by the Independent Electoral Commission (INEC) and the law enforcement agencies ahead of the 2019 general elections in the country. He further explained that the themes are apt at the present time in the nation’s nascent democracy following the incessant cases of killings, kidnappings, cultism, robbery and other social vices, which have become the order of the day. He also noted that the awards are to recognize those who have contributed to the development of the state and the nation. The Delta ACNPN Chairman maintained that the association which has members across the three senatorial districts of the State is formally registered with the Corporate Affairs Commission (CAC). Obiemenyego pointed out that the primary responsibility of the Association is to regulate the activities of all community newspapers, promote good governance, uphold professional ethics, educate, entertain, sensitize and encourage peaceful co-existence and State unity through information dissemination. He said “We have the vision to be the best and leading body in the management of information as we are aware that good information machineries are indeed veritable tools and indispensable driving force for any people oriented government”. The occasion would be under the distinguished Chairmanship of Rt. (Hon.) Solomon Funkekeme, Chairman, Governing Council, Delta State Polytechnic, Ozoro, Special Guest of Honour, Executive Governor of Delta State, Senator (Dr.) Ifeanyi Arthur Okowa, Guests of Honour, Rt. (Hon.) Sheriff Oborivwori, Speaker Delta State House of Assembly, Hon. Festus Agas, Secretary to the State Government, Hon. John Nani, Commissioner for Environment, Hon. Dr. Kingsley Ojie, Izu-Anioma, Chief Host, Ogbueshi Patrick, Commissioner for Information, Guest Speakers, Dr. Ignatus Ezoem, Provost, Federal College of Education Technical, Asaba and CSP Etta Sampson, O/C Homicide Section, Nigeria Police Force, State Headquarters, Asaba.